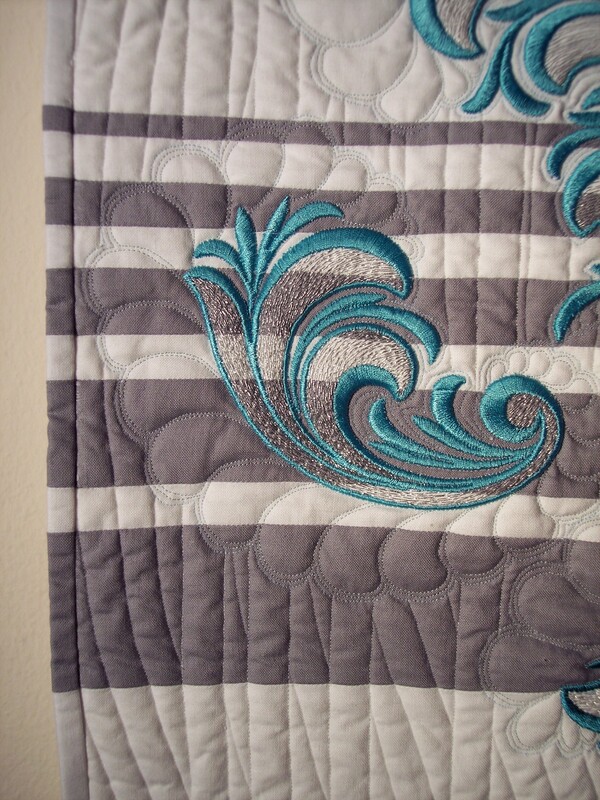 I’m still taking advantage of the Craftsy sale, and taking classes. 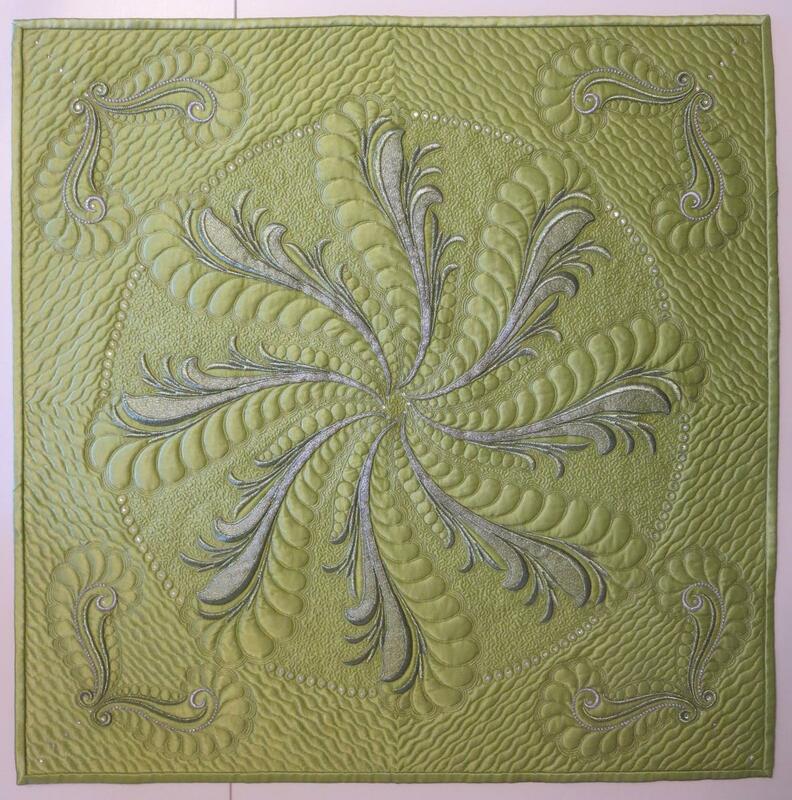 Actually, this post is about the first class I took this week, not the fourth, but I was so thrilled with the class that I wanted to make a sample, and I wanted to be able to show it to you! 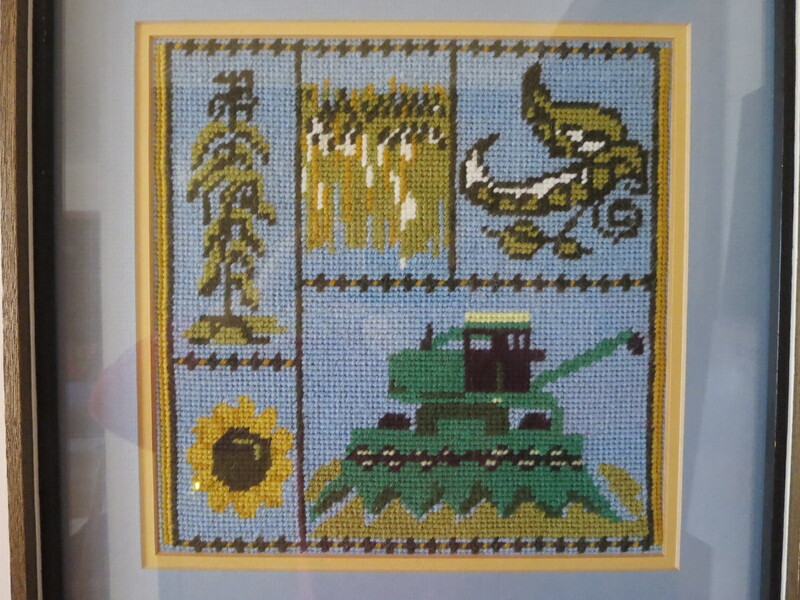 I’ve admired Cindy’s work for a while. 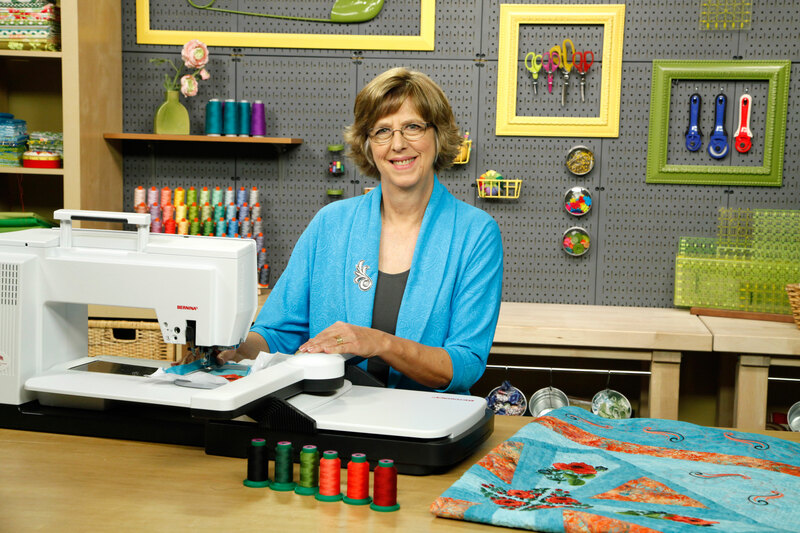 She has much the same quilting style as I. 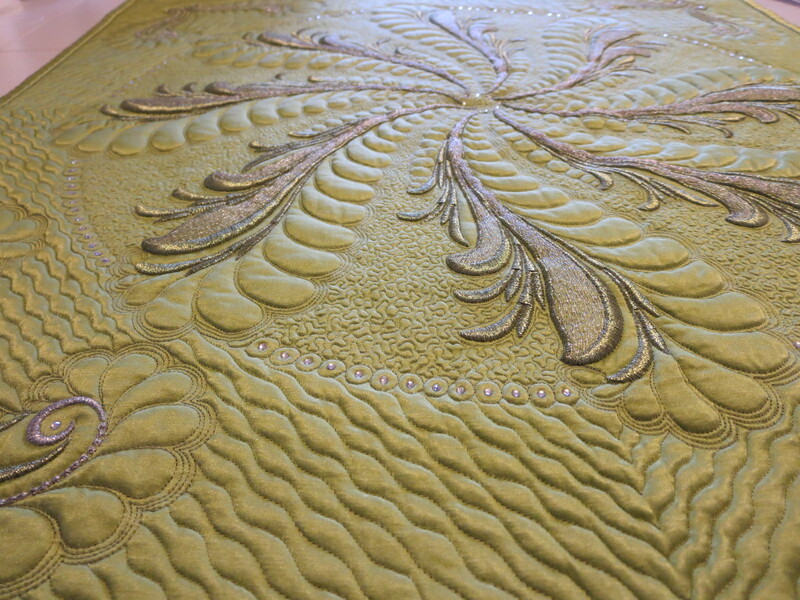 What I love most are her wonderful quilts using embroidered and cutwork linens as the top! I discovered that her method for quilting around the embroidery is exactly the same as I use to quilt around my machine embroidery! 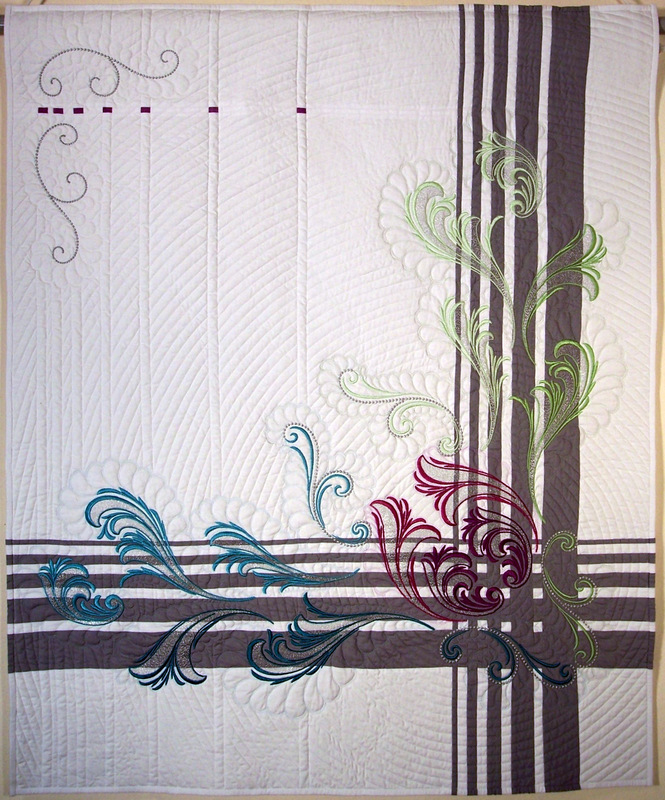 And like her, I quilt a lot of repeating lines, both echo quilting and parallel straight lines, as a counterpoint to flowing, focal motifs like feathers. But I learned other, new tips, and had to try them out. 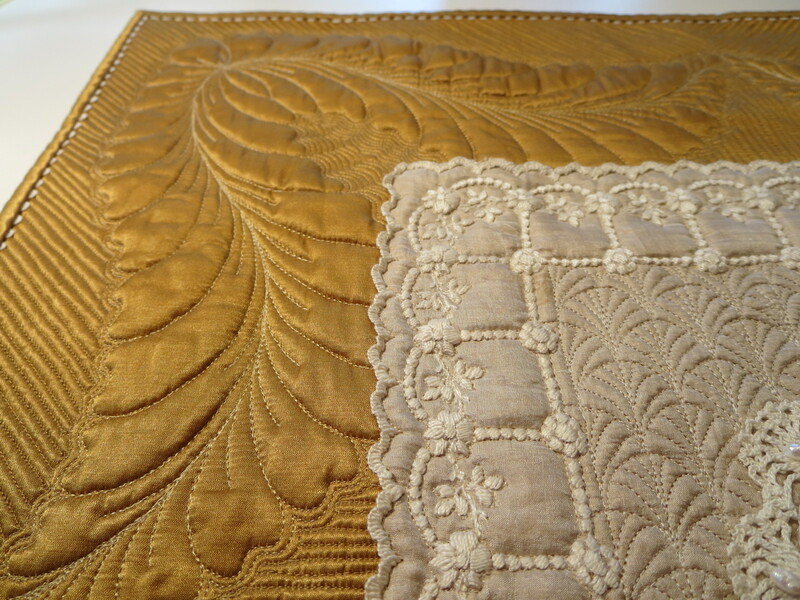 I wanted to try using linens, so I found this little silk embroidered handkerchief in my “stuff.” I layered it over shimmery gold silk/cotton Radiance, then over batting and backing, and quilted it with Superior Kimono silk threads in several colors. 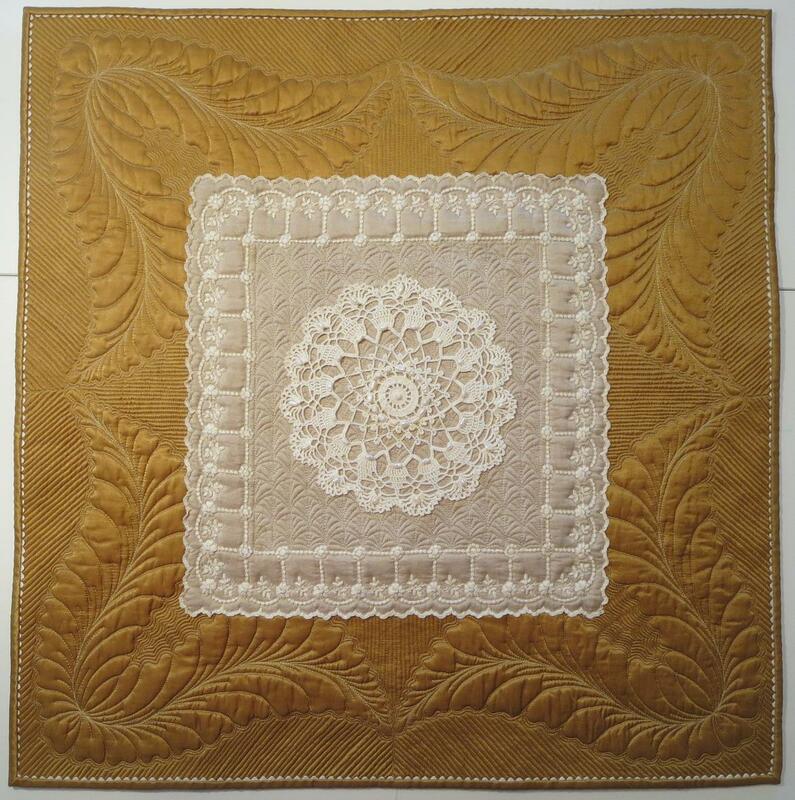 Then I added a crocheted doily to the plain center of the hanky after it was quilted. 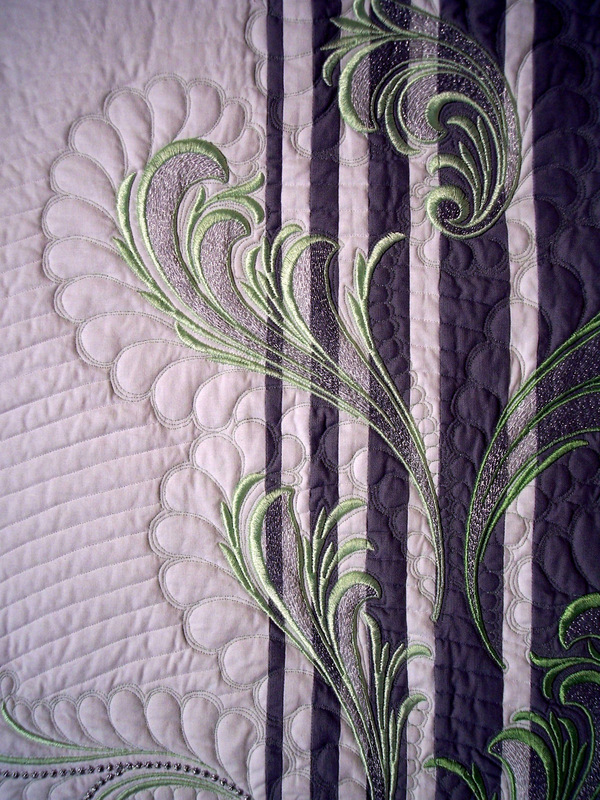 The new techniques I tried are making parts of the feathers “hide” under the edge of the hanky, so it looks like the hanky is floating over the quilting. 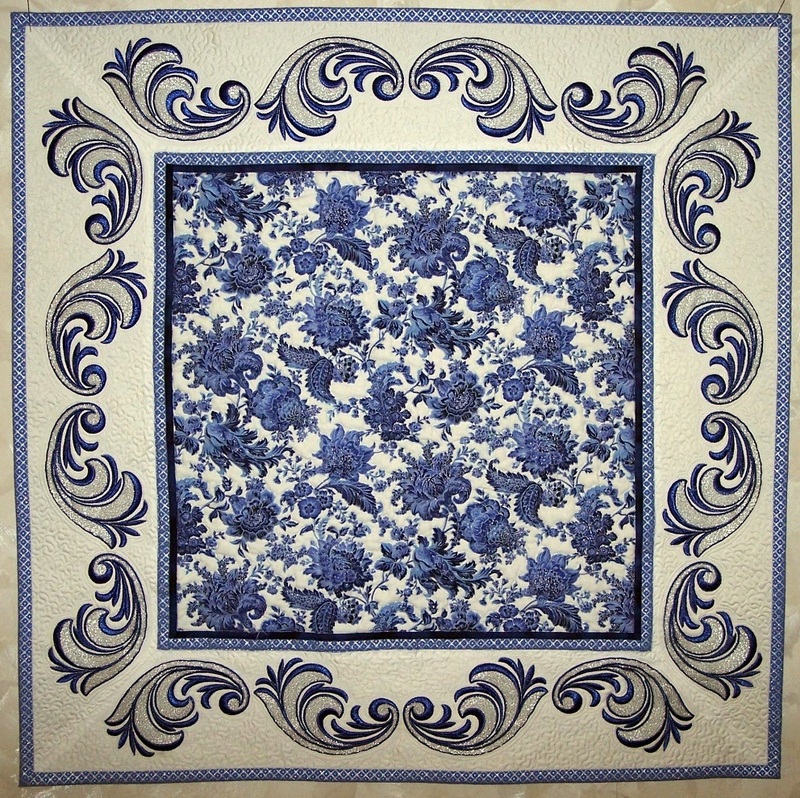 I also used the fill pattern in the center of the handkerchief for the first time. I’ve seen it before, but the instructions were great, and I was able to do it easily. I love this Art Deco repeating fan shape! 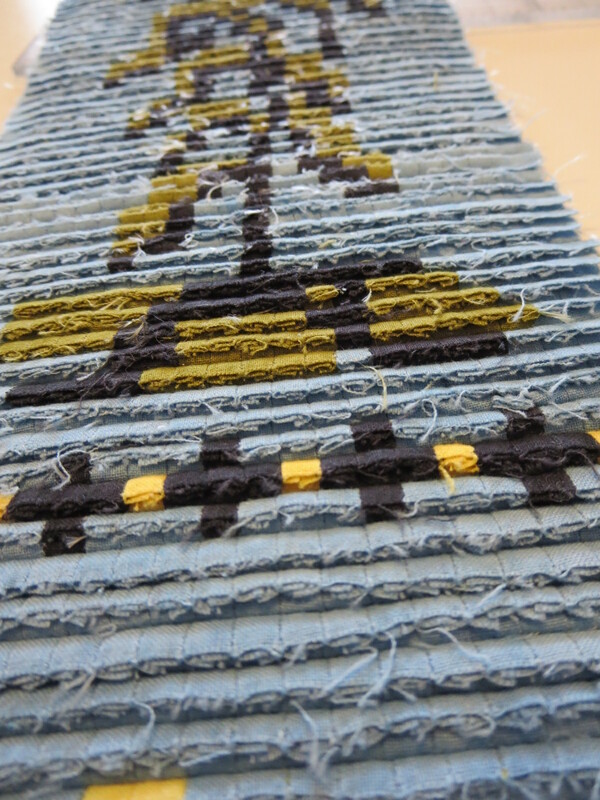 Another technique suggested in the class was the use of beads to secure and embellish. 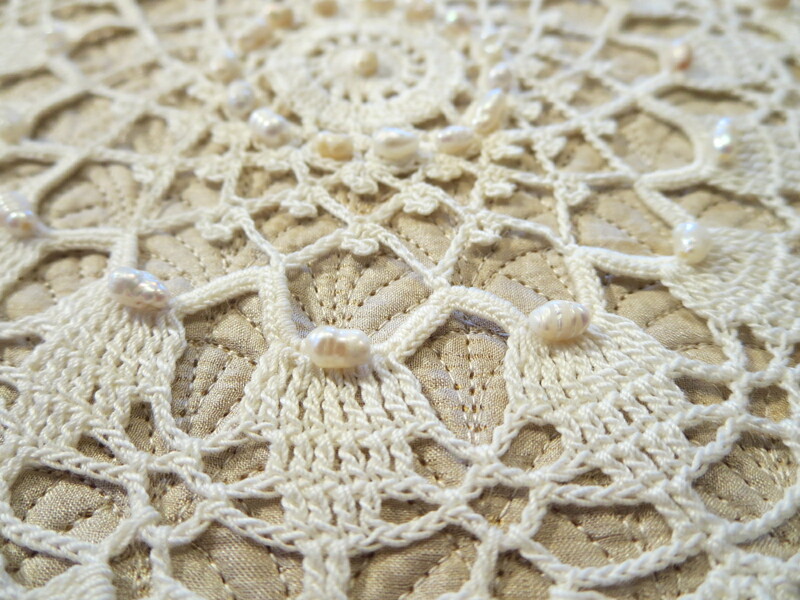 She suggested fresh-water pearls for crochet work. Wow! The color is perfect (even with inexpensive pearls from a hobby store), and the pearls don’t get lost in the crochet the way smaller seed beads might. 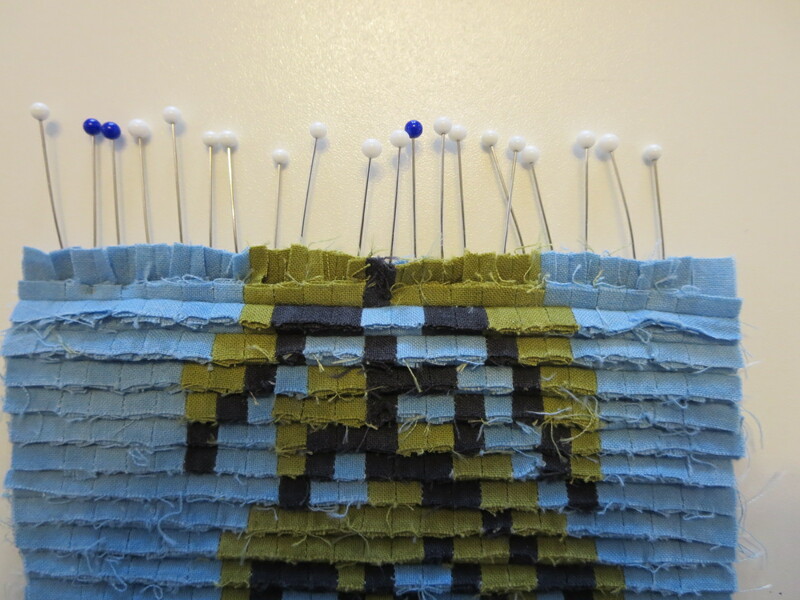 Because I’m a detail person, I added tiny rickrack piping to the outer edge. 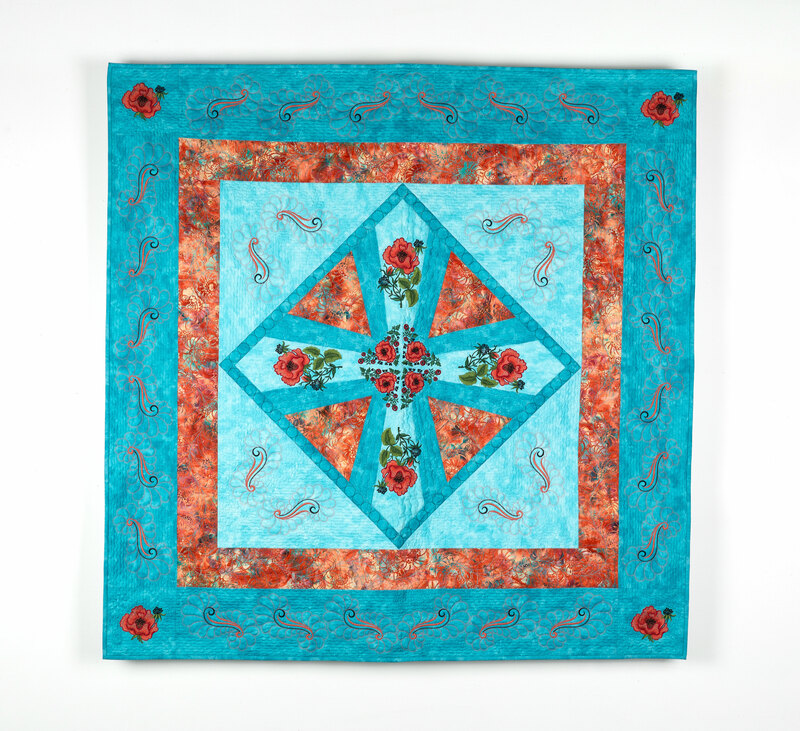 There’s only one thing I wish I’d done differently on this little quilt. 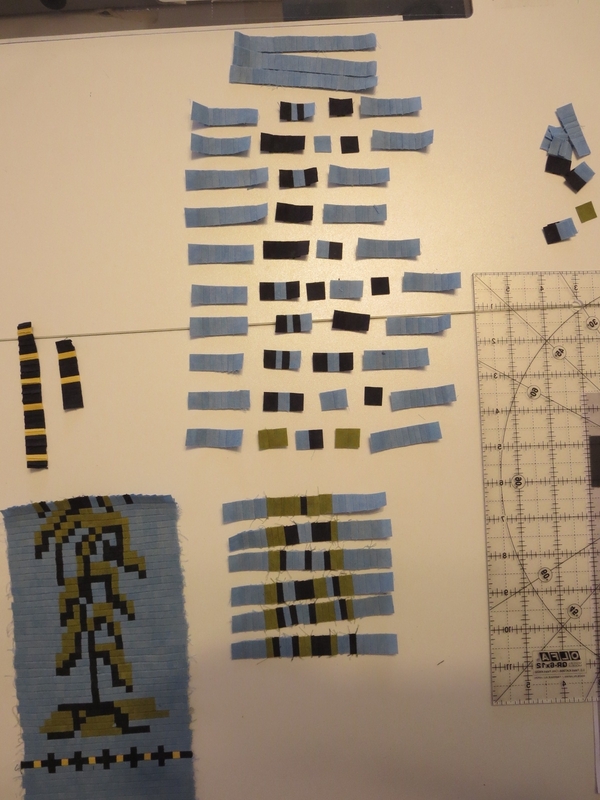 I wish I’d used wool batting instead of 80/20 cotton/poly batting. 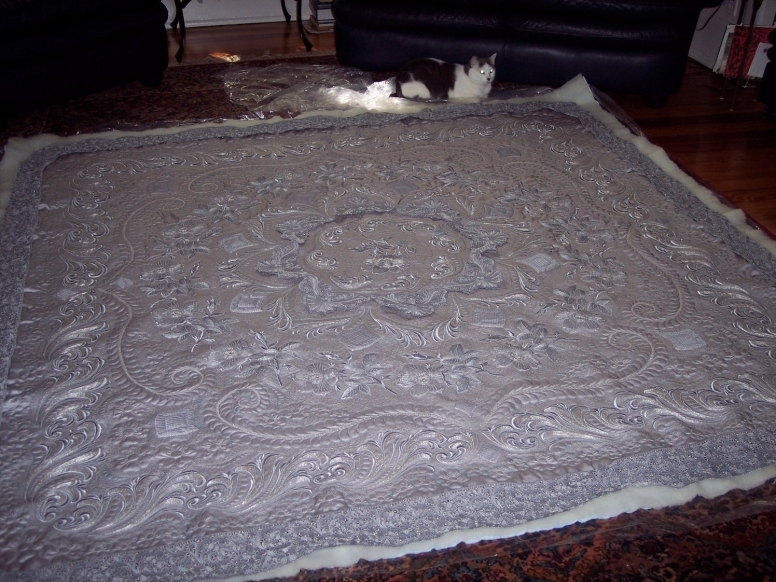 I didn’t have any scraps of wool batting, and I didn’t want to cut into a big piece, because I have a big quilt ready to layer, and I didn’t want to run short. The wool batting would have made the feathers puff more. But even so, I’ve very pleased with this. Thanks for the help, Cindy! 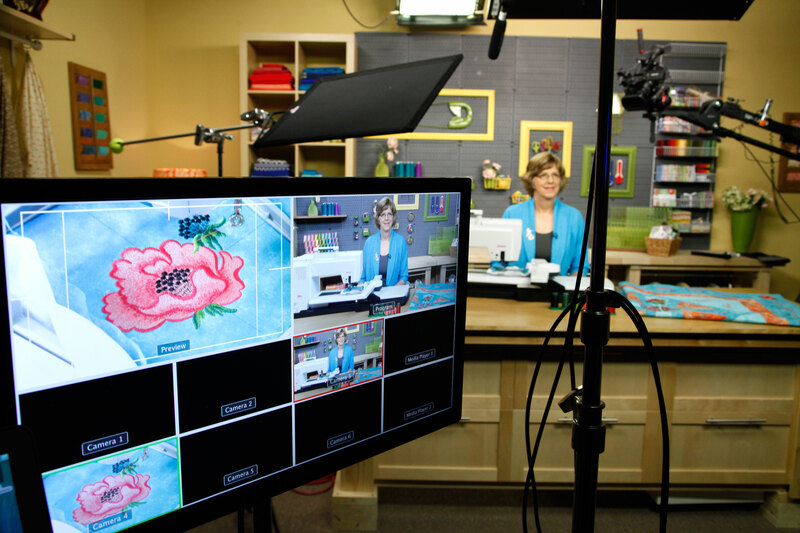 If you’d like to try this class, click here on my affiliate link. Now, I like to cook, but I’m not much of a baker. But these cookies look like lace, and I’m a sucker for lace (okay, I’m a sucker for cats, too, but we won’t talk about that right now!) I thoroughly enjoyed the class, and came away convinced that I could make cookies almost this lovely. 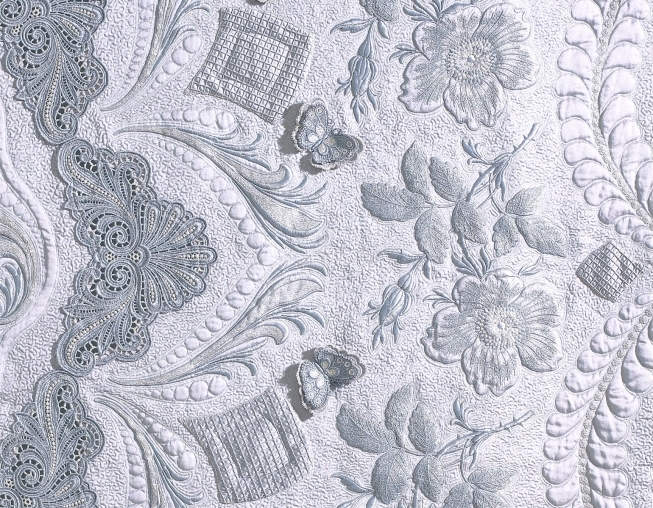 Amber covered decorations that look like netting lace, eyelets, quilted looks, monograms, painted roses, and, my favorite, embroidered flowers! She also included a recipe for not only the royal icing she uses, but a very tasty-sounding cookie recipe. I kind of wish I’d kept those Wilton cake decorating supplies from the class I took way back in the early 1980s! Those lacey cookies reminded me of the very first class I taught at a Martha Pullen school, in 1991, I think. 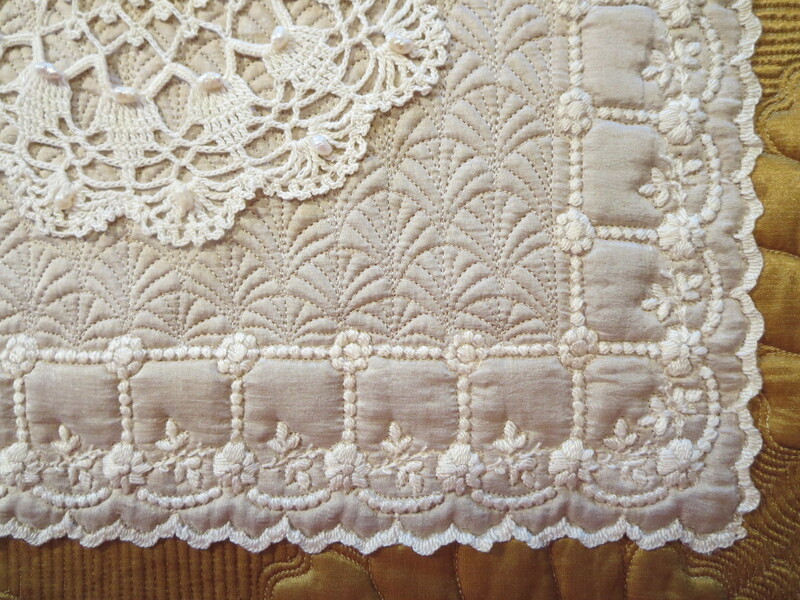 It’s really just a lace collage stitched on cotton netting. 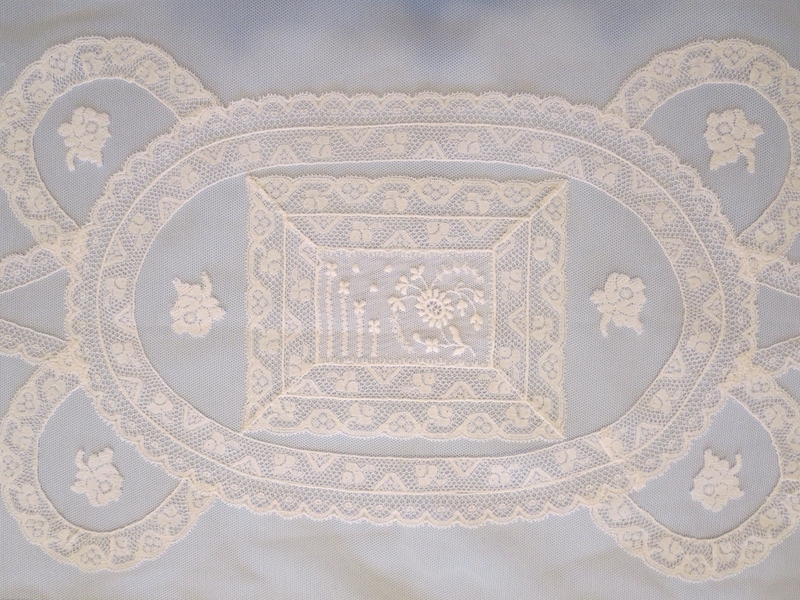 I always thought this looked kind of like a lace turtle! 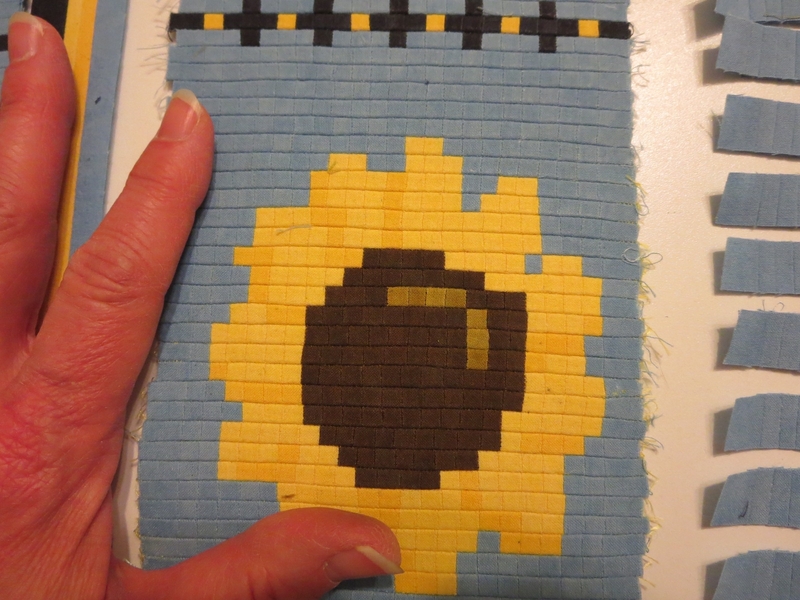 This was supposed to be a pillow, but it never got a back or pillow form. Actually, I’ve taught a lot of pillow class projects, and almost none of them have pillow forms – they take up too much room in luggage and storage, so they are all flat pillows! 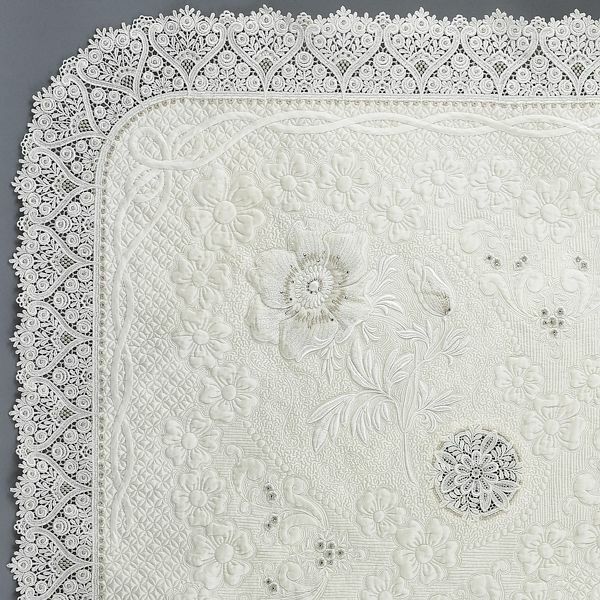 The very center was a little embroidered netting motif, surrounded by mitered insertion and edging. 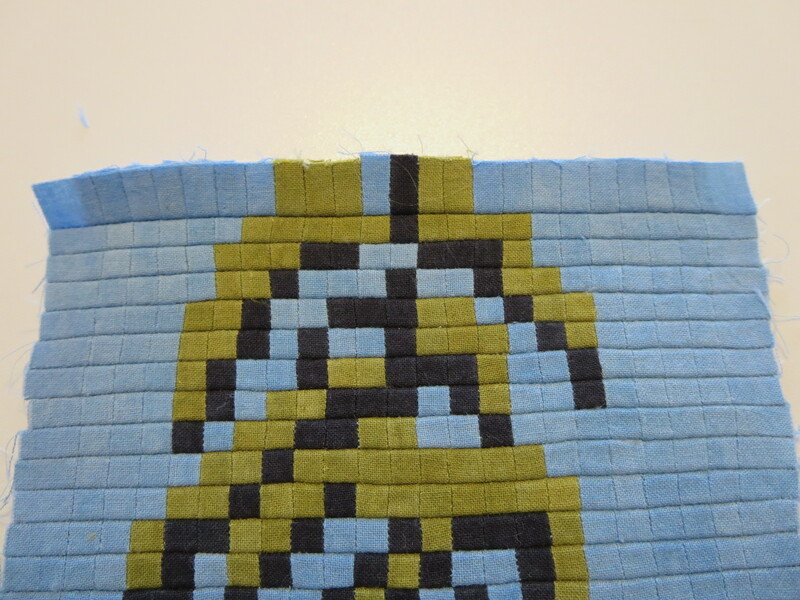 Curved insertion and edgings were stitched around that. 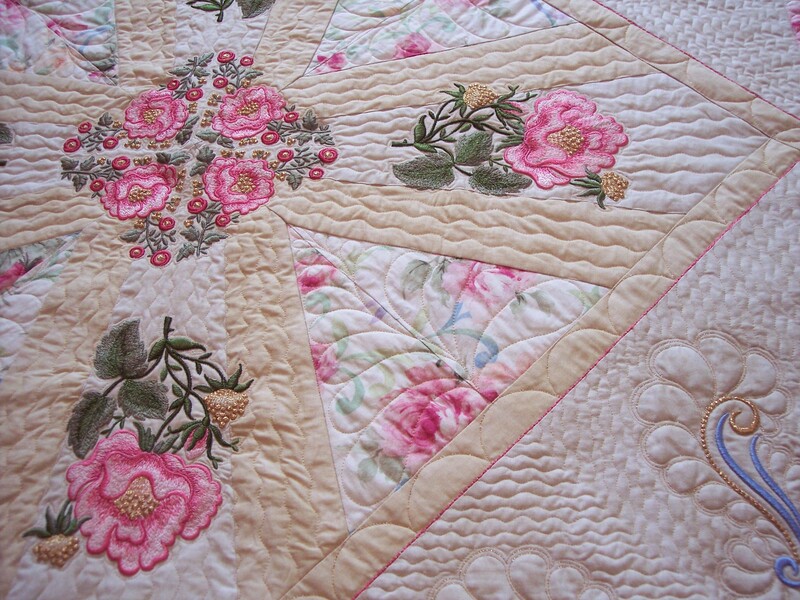 I cut out little flowers from the gorgeous wide insertion, and appliqued them to the netting background in various places. 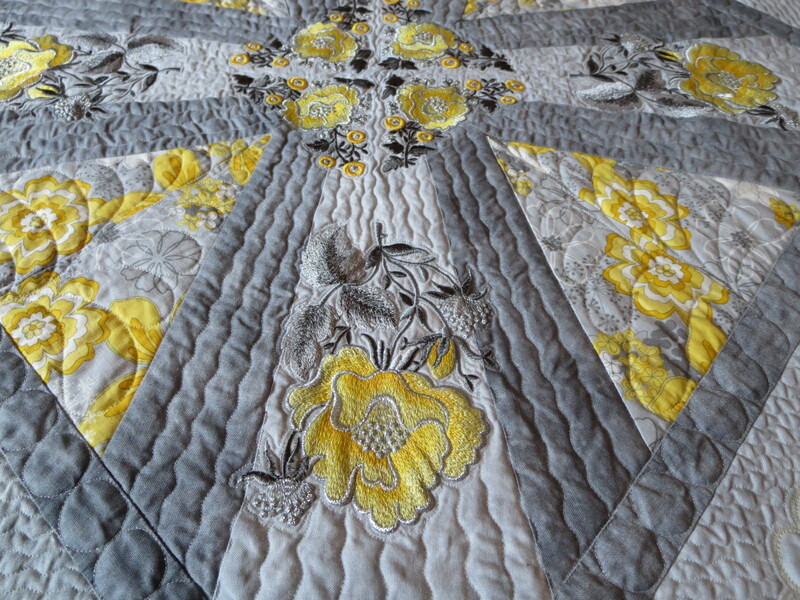 A wide 3″ edging was gathered around the outer edge. 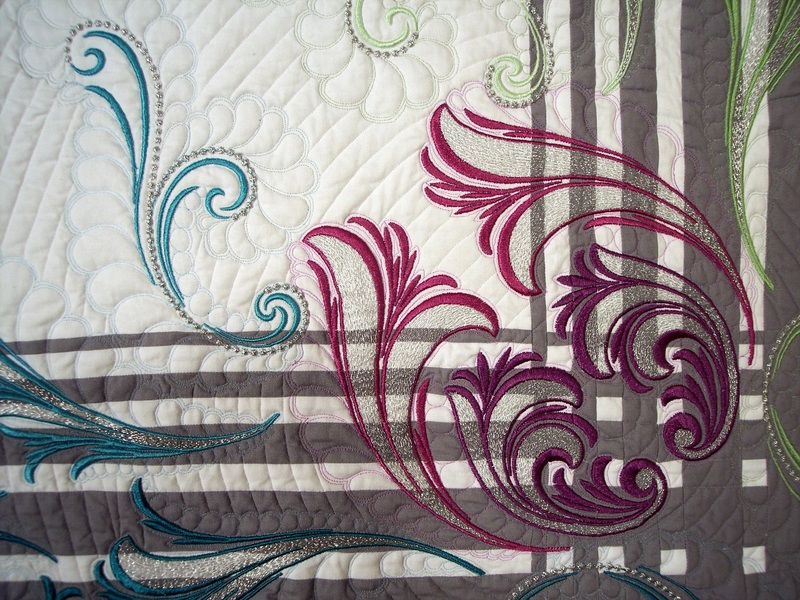 The laces used in this project were really exquisite! 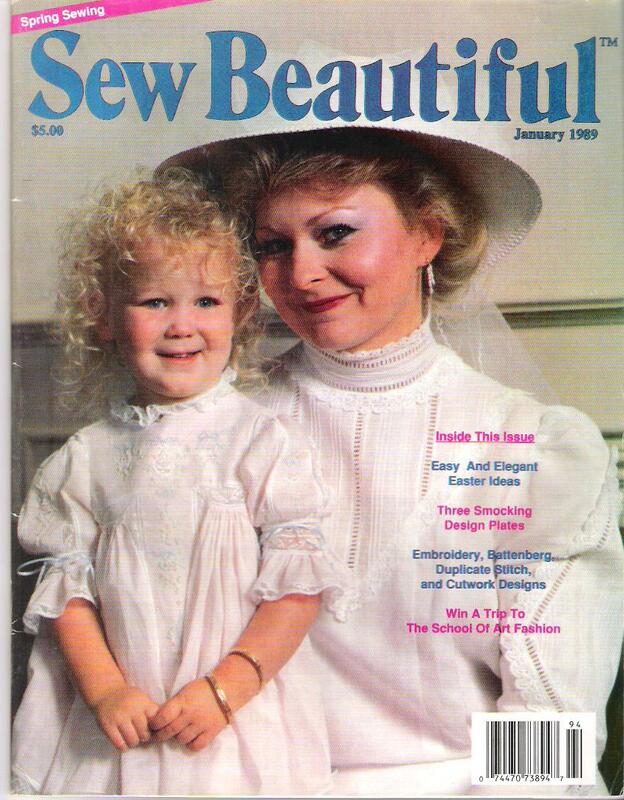 In December of 1988, I saw this issue of Sew Beautiful on the magazine rack at a grocery store. I picked it up, looked through it, and felt prickles go up and down my neck. 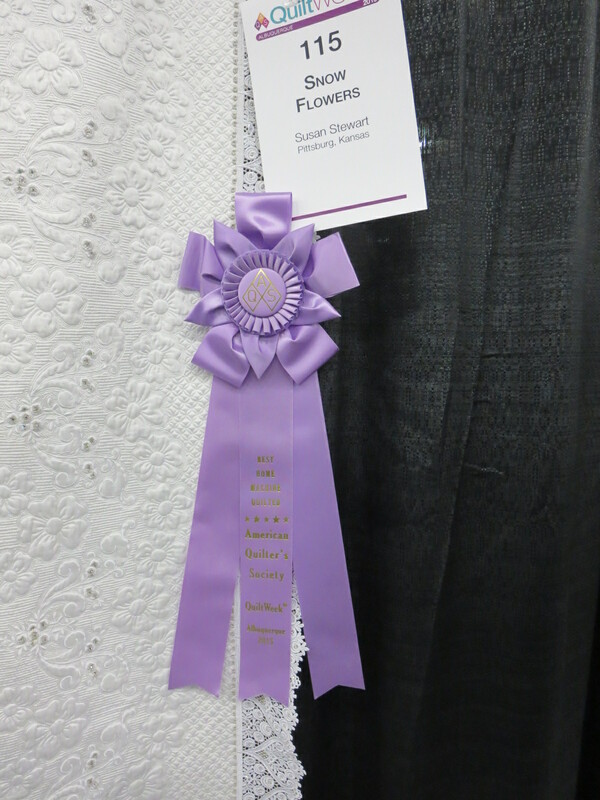 I knew how to sew very well, but I had grown up on a Missouri farm, and had never before seen such lacy confections! I was immediately hooked. 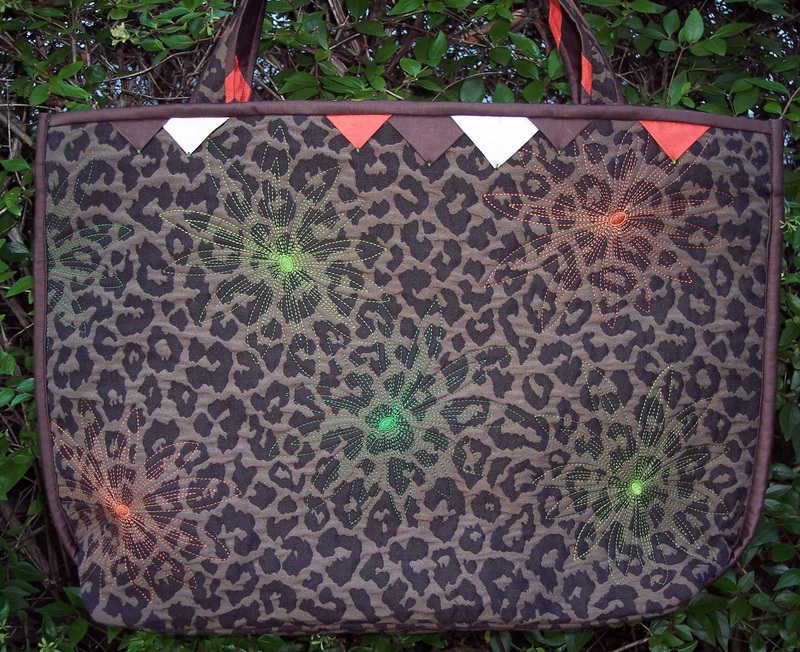 I knew I would try my hand at this new-to-me type of sewing. In that time before online shopping, I was lucky to find a few kinds of heirloom laces and some Imperial batiste at a machine dealership about 50 miles from my home. I read and re-read the magazine, and also Mildred Turner’s book, which I got at that same store. 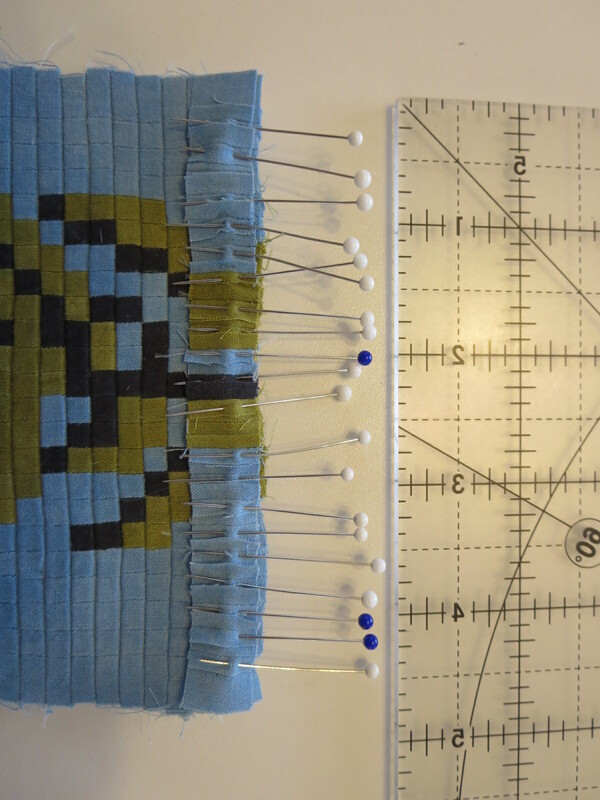 Okay, so heirloom sewing isn’t hard, it just requires certain materials and techniques, and attention to detail. I’m really good at that “attention to detail” part, so with the book and magazine and some batiste and lace, I was off and running! 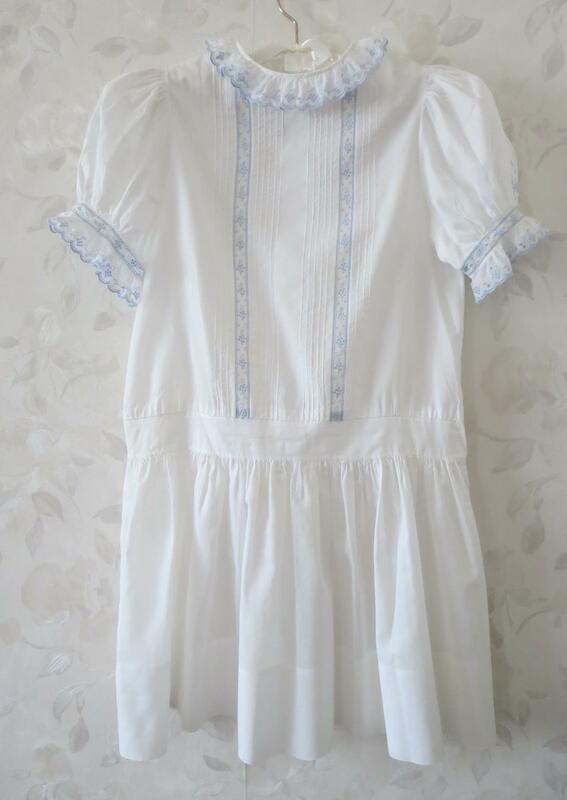 This is the first heirloom dress I made. 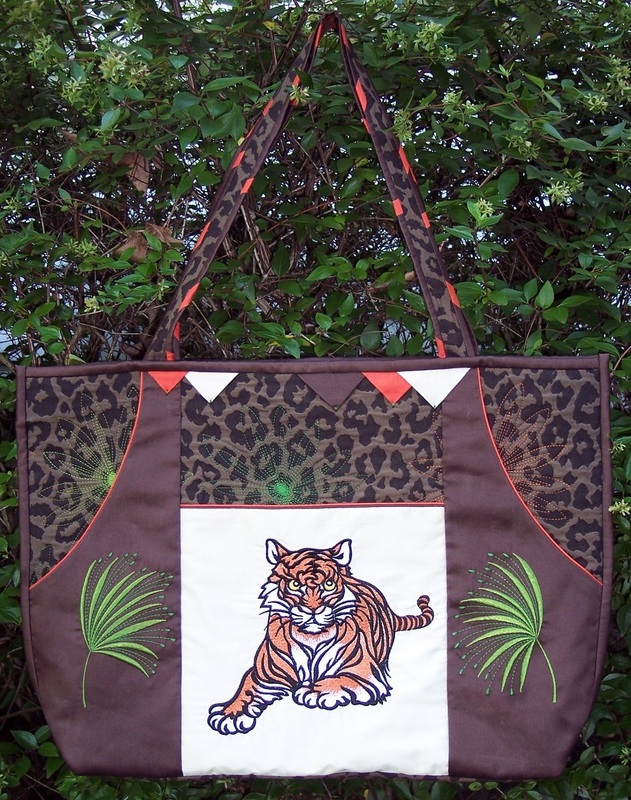 I don’t know what the basic pattern was, probably a McCall’s/Simplicity/Butterick that I adapted. 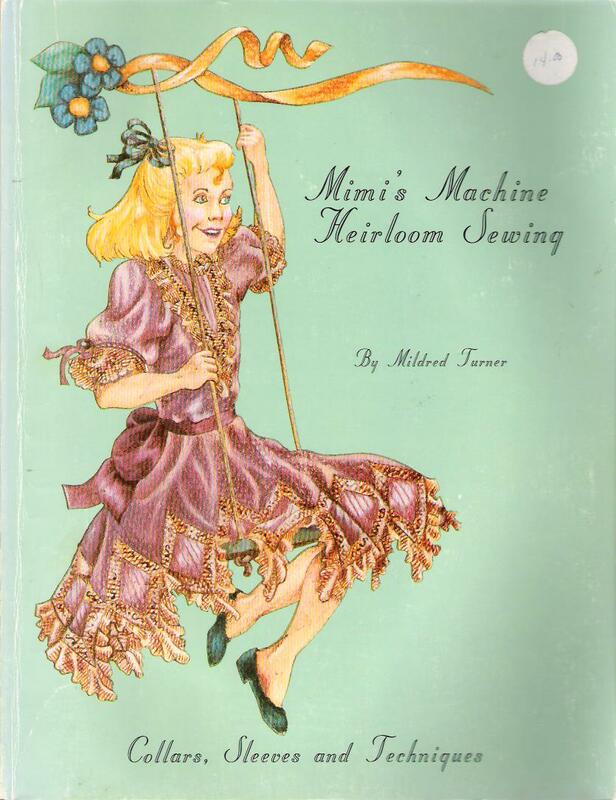 The sleeves and collar were from Mimi’s book. 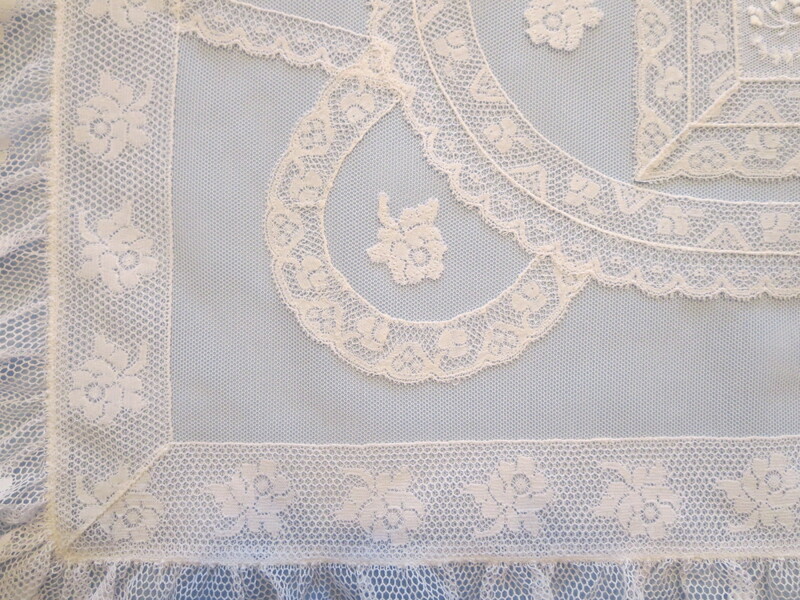 The dress is pale pink Imperial batiste and narrow (really too narrow for the templates, but it’s what I could find) white French Val insertion and edging. 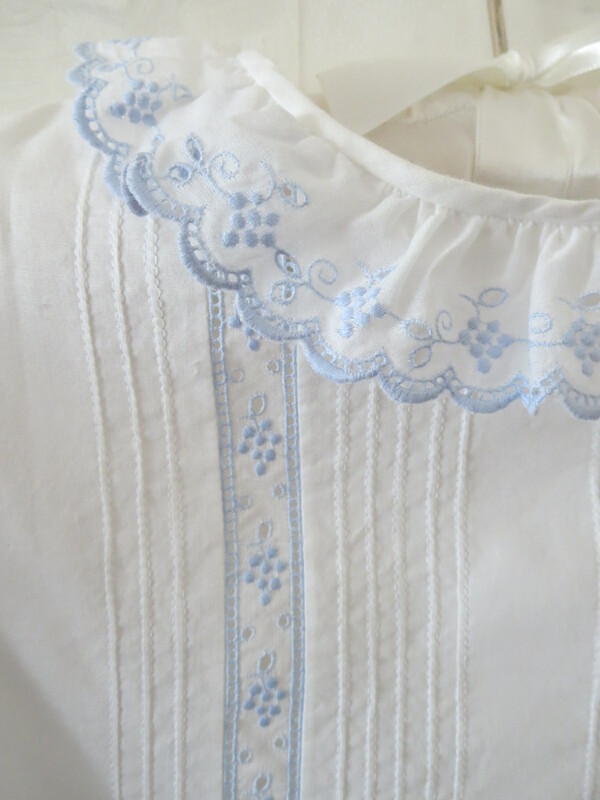 There are teardrop insertion shapes on the collar, and a double row of scallops on the sleeves. 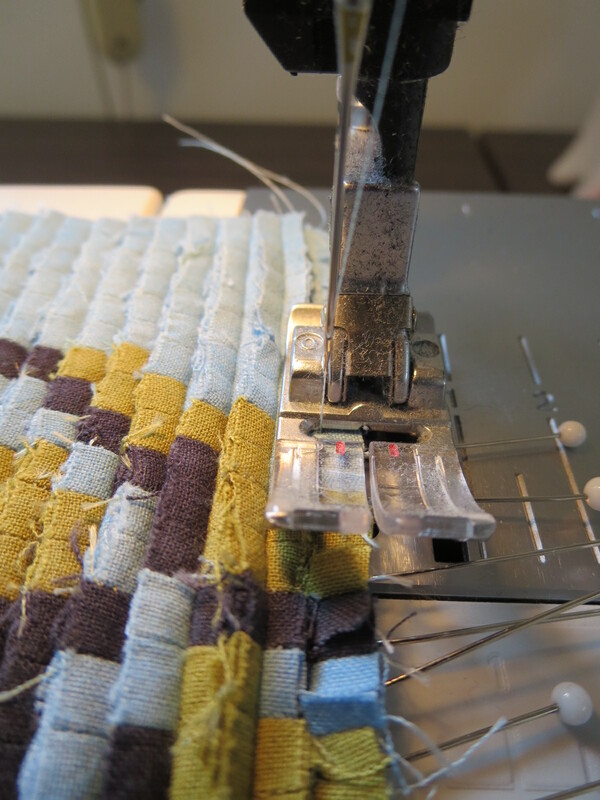 I used serger thread, which was the finest thread I could get. 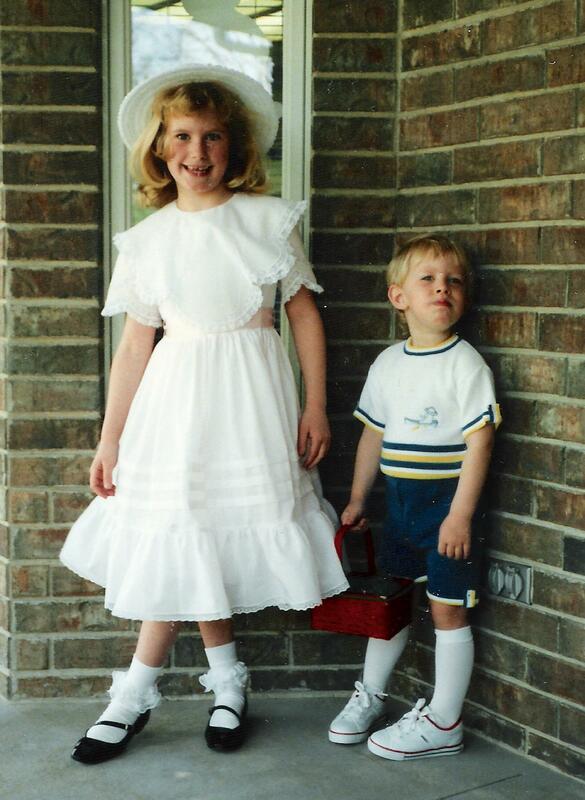 Annie wore the dress for Easter 1989. And don’t you love David’s expression?! 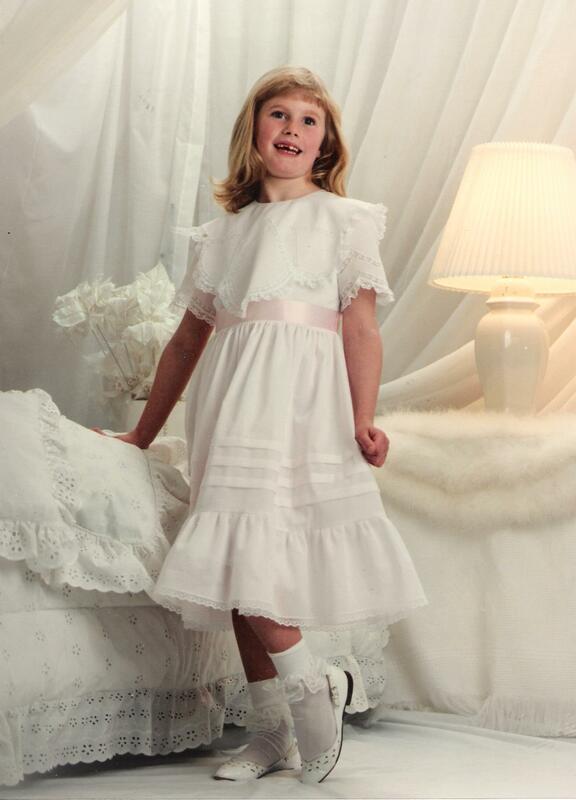 Unfortunately, I no longer have that dress. It was probably loaned to a friend, and never made it back home. 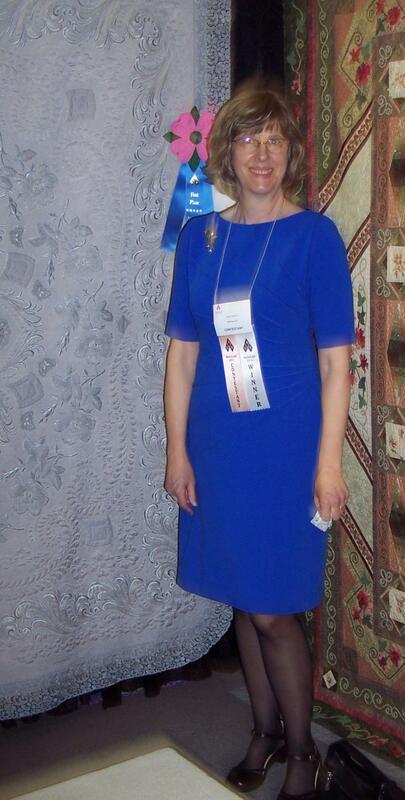 But I do have the second heirloom dress I made! 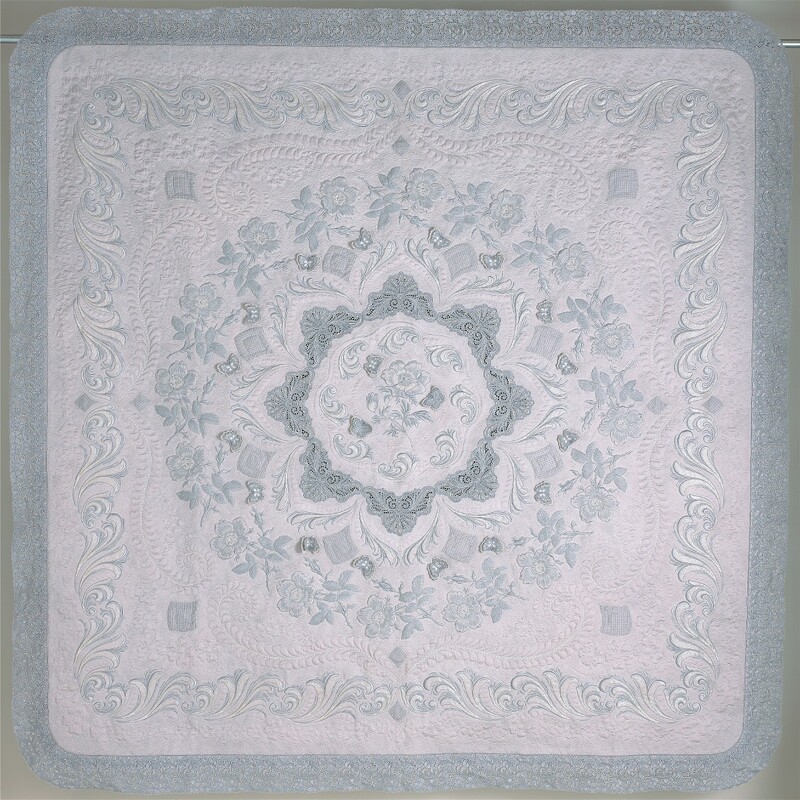 This one was made from real Nelona Swiss batiste and Swiss embroideries. 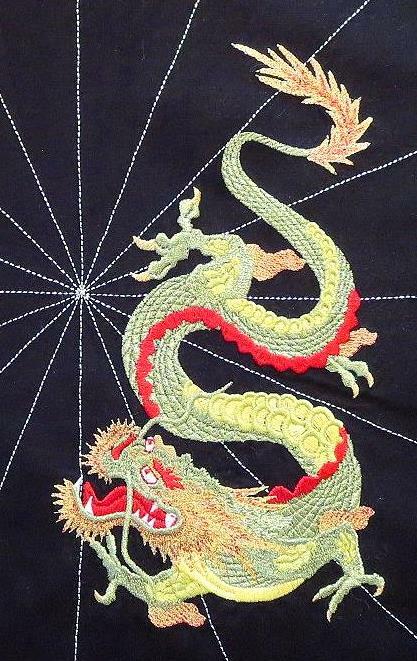 The basic pattern was one from one of those early Sew Beautiful magazines. 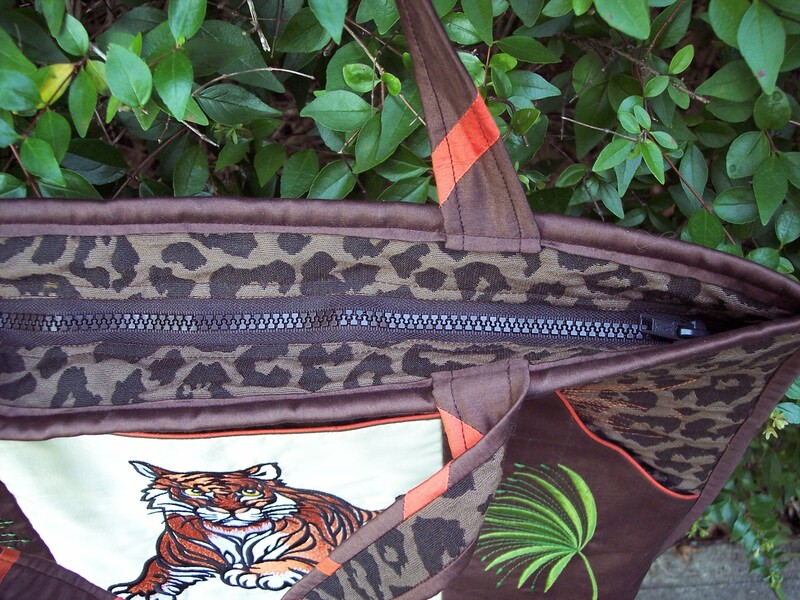 Surprisingly, the Swiss insertion and edging were purchased a couple of years before this, before I discovered Sew Beautiful. 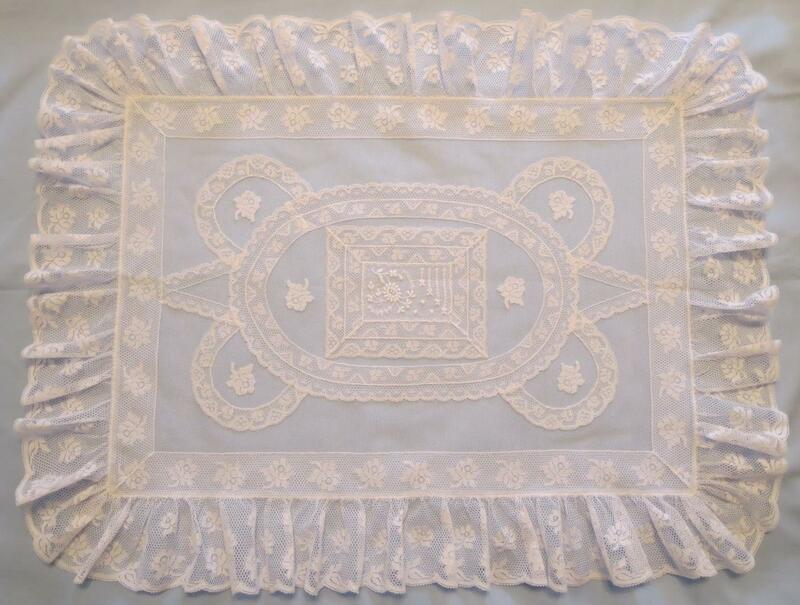 I got them at Eunice Farmer’s store in St. Louis, because I thought then, and still do, that they were some of the most beautiful trims I had ever seen. I remember that when I called Martha Pullen Co. to order the precious Nelona, Kathy McMakin answered the phone and took my order! Well, that magazine was the start of an amazing journey for me! 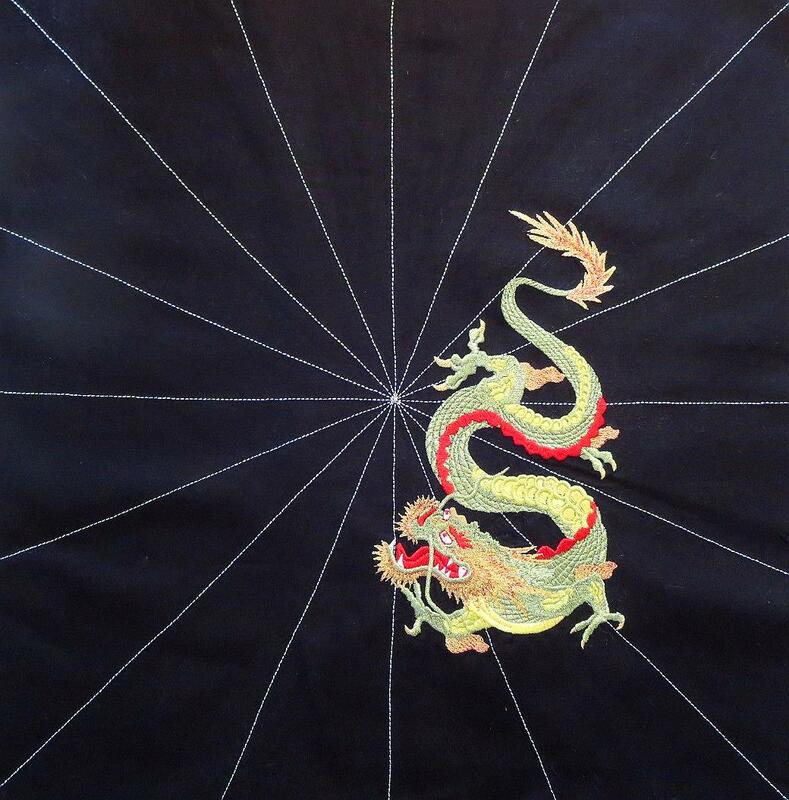 Soon, I was sewing and writing and teaching for Martha Pullen Co. I am so grateful for the opportunities this gave me! At the time, I had two lovely children, but was in a dismal marriage. 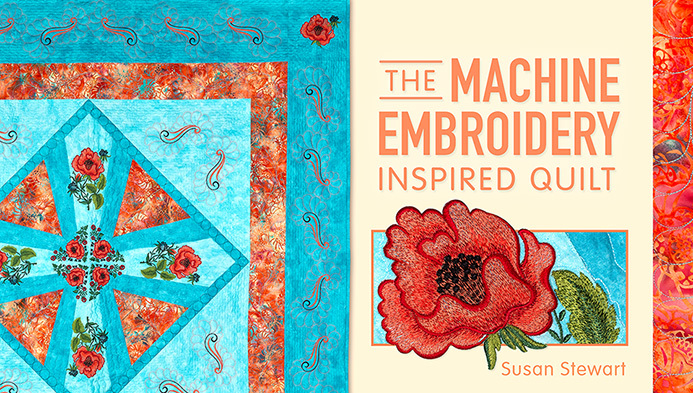 The ability to stretch my creativity, do things I had never imagined myself doing, and create so many beautiful things gave me a self-confidence that eventually helped me to get out of that dismal marriage and then later marry a wonderful, supportive man. 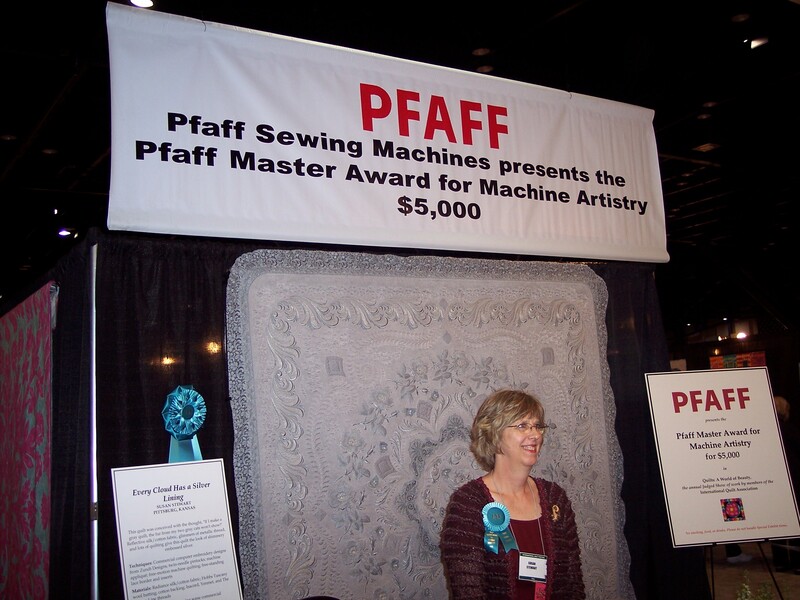 Fast forward 26 years… I have authored two books, had my work featured in countless books and magazines, won top prizes at major quilt shows, taped a Craftsy class, and have four quilts in the National Quilt Museum. Yes, I’ve endured my share of heartbreak and tragedy – no one is spared that. But what a ride for a farm girl with a chemistry degree! 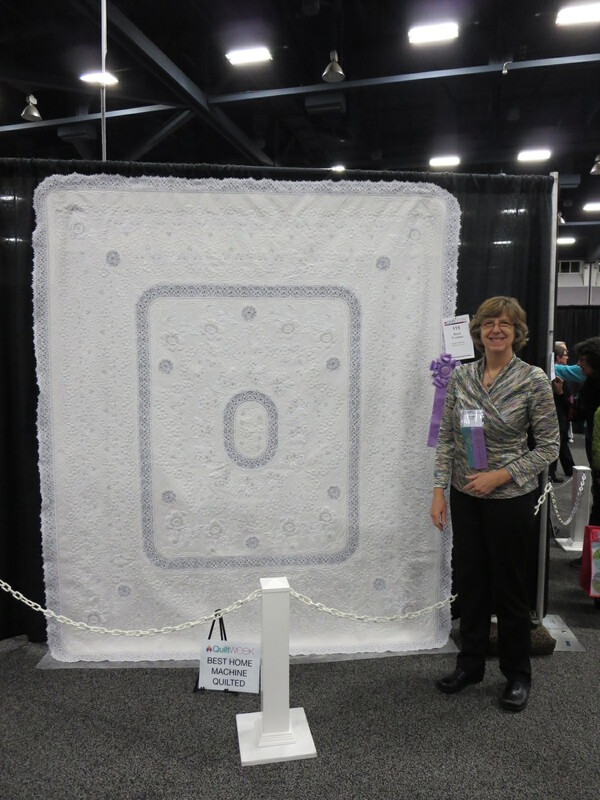 Just last week I went to Albuquerque, NM, because my quilt “Snow Flowers” won the “Best Home Machine Quilted” award (and $3500!) at the AQS show there. 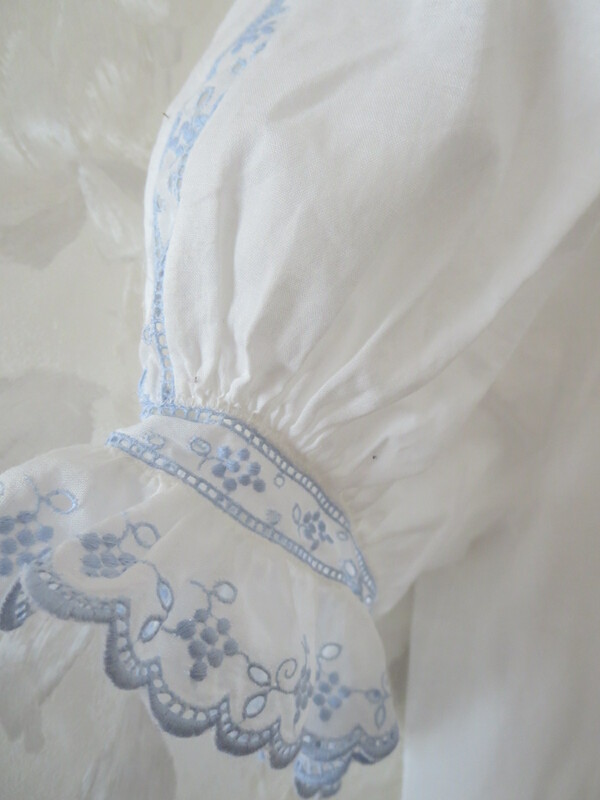 Just like those white dresses, white quilts are difficult to photograph! 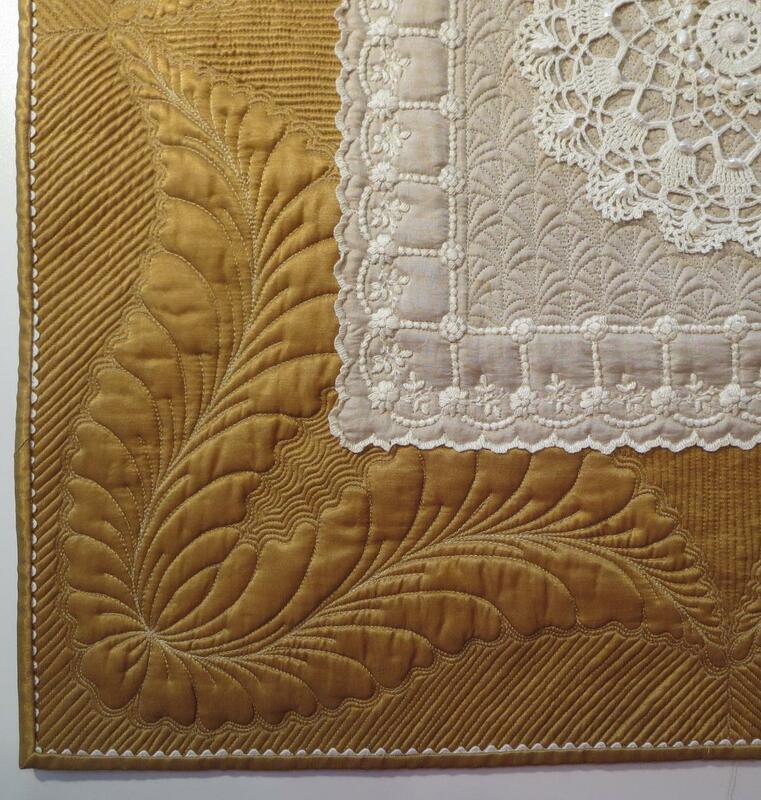 But you can clearly see the heirloom influence – lace insertions and edgings on a quilt! I wonder what will be on the journey next?